You Are Here: Home > When Do I Need to Replace my Car Battery? When Do I Need to Replace my Car Battery? It’s a normal day. You get all ready to run errands, head to work, maybe go to the gym. You’re in a great mood and you’re ready to take on the day. You take a seat in the driver’s seat, turn the car key and your car won’t start. You try again, again, and probably again, and it won’t get going. Your battery is dead. Here are some warning signs to look out for if your battery is close to dying, and some ways to know when it’s time to replace it. When you go to start your car and it takes a little bit longer than normal to get going, this could be a sign it’s time to get your battery checked and possibly replaced. It could be a fluke that day, but if it happens more than once you should definitely get it checked out. This one is kind of a given, but more often than not we ignore that little light on the dashboard. WE just assume it’s a mistake or the problem will fix itself. Don’t ignore it, have our certified technicians take a look. Take a look under the hood every so often to make sure everything looks normal. Low battery fluid, meaning it’s below the lead plates, indicates it’s time to have the battery checked out. You could need more fluid, or a new battery all together. This is a great way to keep an eye on battery health and check-ups every so often. What Affects the Life of a Battery? There are several things you can do as a car owner to help extend the life and good health of a battery. Don’t limit yourself to short trips. If you frequently take trips less than 20 minutes, your battery doesn’t have enough time to recharge thoroughly. Be sure to take longer trips every so often to extend your battery’s life. 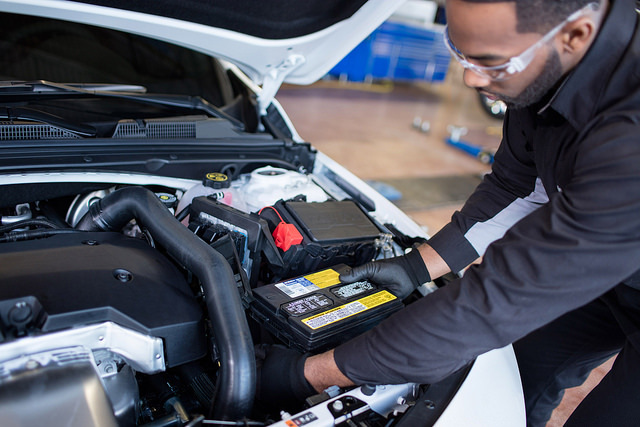 If you’re not sure on the health or current life-span of your battery, swing by Lancaster Toyota today. Our technicians will take a look at the current status and let you know if it’s time for a new one, or if you have more time with that battery. We want to ensure top safety for you and your passengers, so keeping a healthy battery is very important. Schedule a service check-up today!